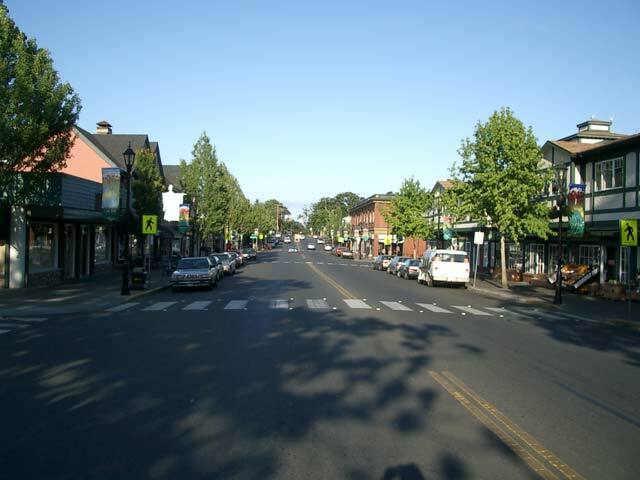 The District of Oak Bay is located in the very south east portion of Vancouver Island's Saanich Peninsula with an eastwardly view of Haro Strait and San Juan Island in the background. Oak Bay is part of the Capital Regional District (CRD) and borders the communities of Victoria in the west and Saanich in the north. Oak Bay is surrounded by ocean waterfront in the east side and south sides starting with Cadboro Bay in the north, south to Cattle Point, Willows Beach, Turkey Head, Gonzales Point, McMicking Point, McNeill Bay, Harling Point and Gonzales (Foul) Bay and the border with Victoria. The main commercial, retail businesses and shops are generally located on Oak Bay Avenue west of Foul Bay Road. Along this area you can find the major banks, Fairway Market, small intimate restaurants, Penny Farthing Pub and most other businesses including a Starbucks and the Blethering Place Tea Room and Restaurant where you'll find an authentic British Tea Room. Along with Vancouver's Shaughnessy, Oak Bay is home to one of British Columbia's older wealthier residential areas called the Uplands. Made up of large stately manors and big estates, the Uplands is home to one of British Columbia's more exclusive areas, many with ocean waterfront views towards San Juan Island in Washington State. There is an excellent driving tour that takes you through the Uplands neighborhood from the Victoria waterfront. Take Dallas Road from Beacon Hill Park east to Hollywood Crescent to Crescent Road, then up and along King George Terrace to Beach Drive. The route takes you along the ocean past stately homes and the prestigious Oak Bay Golf Club, Oak Bay Beach Hotel and the waterfront past the Oak Bay Marina to eventually Cattle Point and the Uplands Gates. Watch for the driving tour signs posted along Beach Avenue if you're driving or, better still, take a convenient guided bus tour that leave the City of Victoria every day. Gray Line West offers a package that takes you through a number of areas including the Uplands called the Victoria Grand City Drive Tour. One event you'll want to attend in Oak Bay is the annual Oak Bay Tea Party at the beginning of June. This all-weekend long event includes a parade, an air show at Willows Beach including a sea rescue demonstration, bathtub race, live entertainment on stage, midway and lots of food including a pancake breakfast, baron of beef, corn on the cob and tea from Tetley's Tea. During the evening you can enjoy the fireworks along the shores of Willows Beach in Uplands Park at Cattle Point. There is a beautiful beach promenade walk along Willows Beach that goes from the parking lot on Dalhousie Road all the way along Esplanade to Cattle Point. 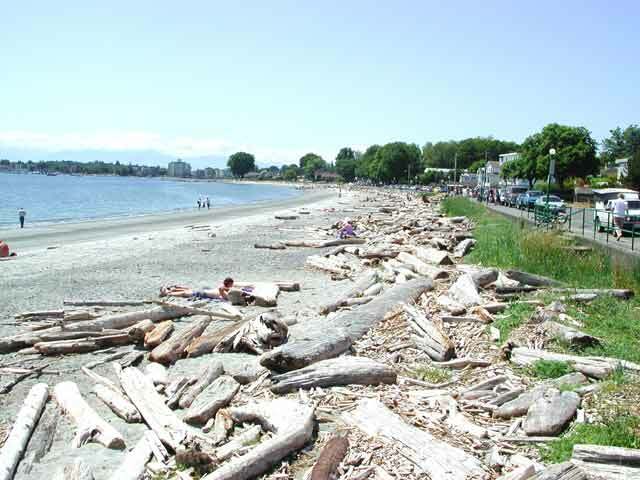 Willows Beach is a very popular spot, especially in the summer for people to enjoy sunbathing along Oak Bay. If you have a chance, try and visit the small tea room operated by the Oak Bay Kiwanis located at Willows Park. Other walks in Oak Bay that are also nice include the walk along McNeill Bay. Here you can find a beautiful pebble beach with a wonderful southerly view of nearby Trial Island. If you're lucky there is a possibility of spotting a pod of killer whales or seals off the rocky shoreline. Another area worth considering visiting is Gonzales Bay and Gonzales Hill Park near the border with Victoria. For history buffs there is an old Chinese graveyard overlooking McNeill Bay at Harling Point near the end of Crescent Road. The cemetery has a number of very old headstones of Victoria's Chinese past and has been deemed so important by the Government of Canada that it has been declared as a National Historic Site. If you would like to go boating there is a very nice boat ramp at Cattle Point. From here there are lots of exploring and fishing opportunities close by. 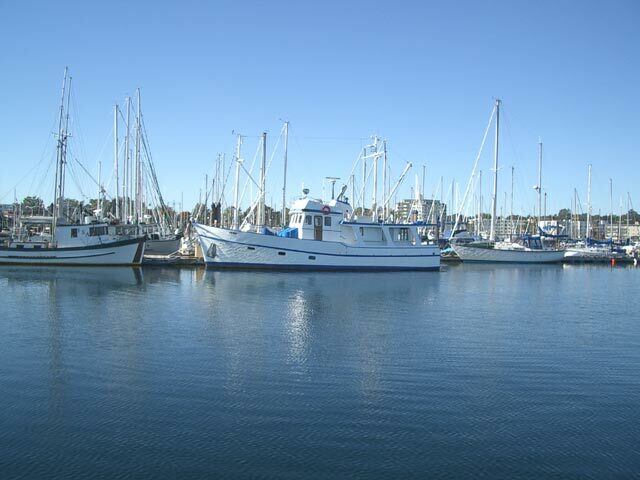 For transient moorage and general information go to the Oak Bay Marina on Beach Drive right near Newport Avenue. 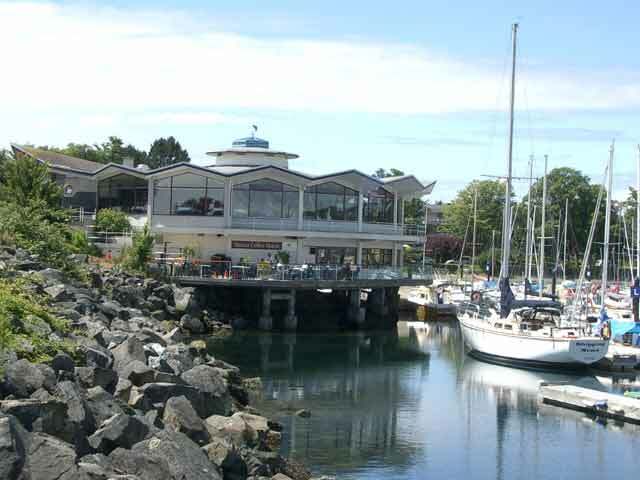 At the Oak Bay Marina you can also find a coffee shop and a restaurant, assistance finding a fishing guide, a large parking lot and a walking path along the waterfront near Turkey Head. 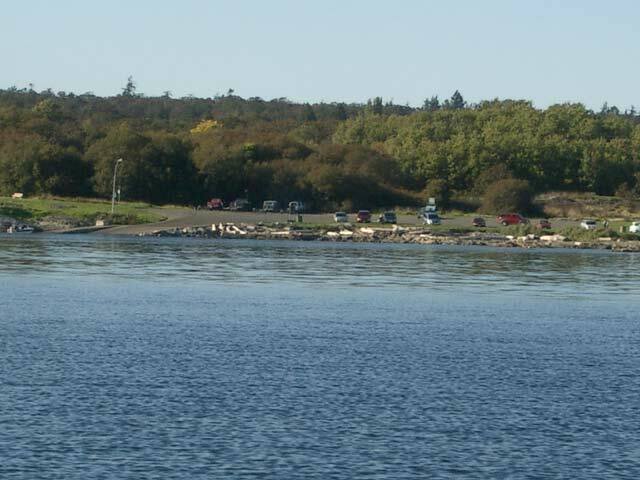 If you already have a boat and know where to cruise, there is also a very good boat ramp located at Cattle Point. 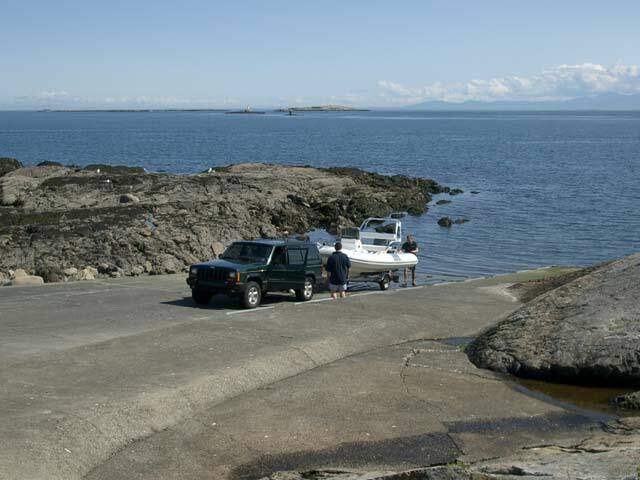 Cattle Point has lots of parking for vehicles and boat trailers. There is also one other smaller business district located on Estevan Avenue near Willows Beach called the Estevan Village. Here you'll find a small grocery store, café and the famous Willows Galley Fish & Chips Shop. For those who enjoy a good fish and chip meal, try the Willows Galley, you won't be disappointed as it is definitely an Oak Bay tradition.